Window Installation Kansas City: Is Your Energy Bill as Low as It Could Be? 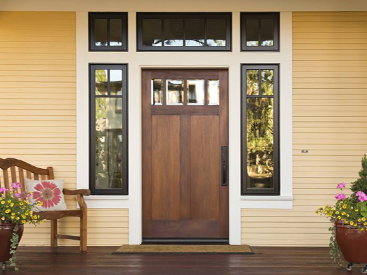 As a homeowner, you’re always looking for ways to make your home more efficient. Maybe you’ve purchased energy-efficient appliances for your kitchen, or perhaps you’ve recently upgraded your HVAC system. There are countless ways to improve your home’s efficiency, and in today’s post, we’ll take an in-depth look at four of them. Blue Springs Siding and Windows proudly provides window installations, siding installations, and a variety of other home improvement services. 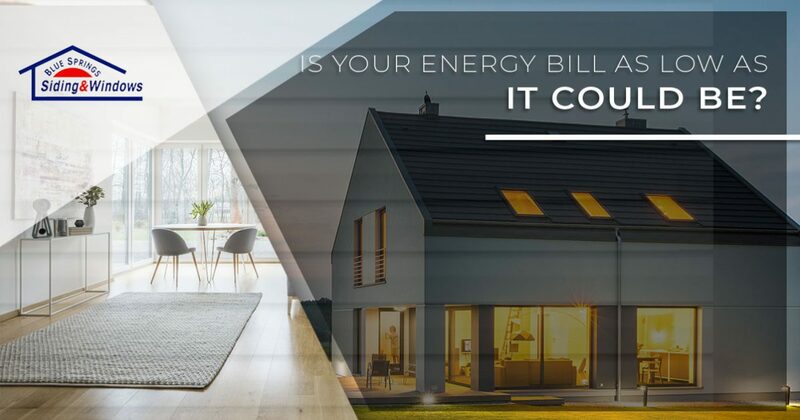 Read on to learn more about how you can save on your monthly energy bill, and get in touch with us today for a free estimate! 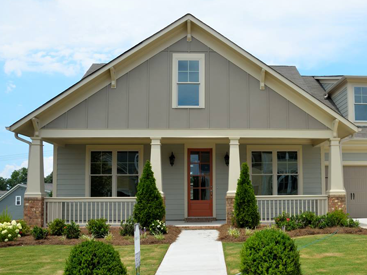 Investing in vinyl siding is one of the most affordable ways to increase your home’s efficiency while also giving its curb appeal a boost. Old and outdated siding will allow the outside air to affect your indoor temperature, causing your HVAC system to work overtime in order to maintain a stable temperature. Even if you have an efficient HVAC system, you’ll notice a difference in your monthly energy bills when you aren’t paying for unnecessary heating and cooling! Get in touch with a member of Blue Springs Siding and Windows to request a vinyl siding installation estimate! Most of the homes in the Kansas City area were constructed decades ago, meaning that incandescent lights were standard. LED lights have become much more popular in recent years, and for good reason. In addition to lasting up to 25 times longer than incandescent bulbs, LED lights use up to 80 percent less energy. 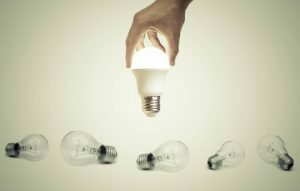 To put the point more tangibly, the US Department of Energy estimates that the average homeowner can save up to $75 per year by switching to LED lighting! 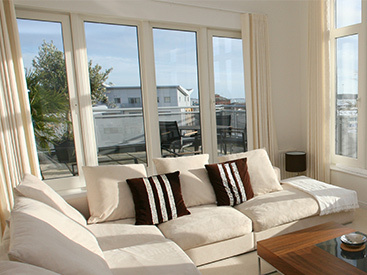 Taking advantage of natural sunlight is another great way to save money on your energy bill. If your home doesn’t get much natural light due to the size of your windows or the location of your home, then consider investing in a window installation with Blue Springs Siding and Windows. We have a wide variety of options from which to choose, and our helpful staff will always work to help you find the right fit for your home. We can even help you with a sunroom installation if you would like to maximize the amount of natural light you can enjoy from the comfort of your own home! You foot the bill for all of your heating and cooling, so don’t let your hard-earned money get carried away by drafts! If you notice that some rooms are much colder than others in the winter, or if some rooms don’t seem to cool down during the summer, then you should evaluate your windows to see if they have any cracks or leaks. You can always seal them yourself, but if they’re more than 15 years old, then a window installation may be the more cost-effective choice. Are you interested in learning more about windows, siding, or any of the other services we offer? Get in touch with Blue Springs Siding and Windows using the form below!